The Rottweiler /ˈrɒtwaɪlər/ is a medium/large size breed of domestic dog.The dogs were known as "Rottweilbutchers' dogs" (German: Rottweiler Metzgerhund) because they were used to herd livestock and pull carts laden with butchered meat and other products to market. The Rottweiler was employed in its traditional roles until the mid-19th century when railways replaced droving for herdinglivestock to market. 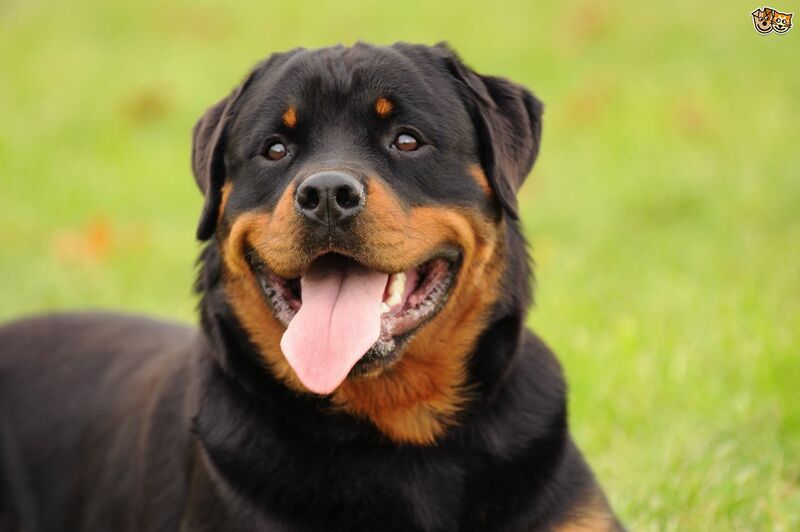 While still used in herding, Rottweilers are now used as search and rescue dogs, as guide dogs for the blind, as guard dogs or police dogs, and in other roles.